To make your messier projects easy to contain on the R59601 Educational Light Cube, we’ve developed a tray that fits perfectly on top of the Light Cube. 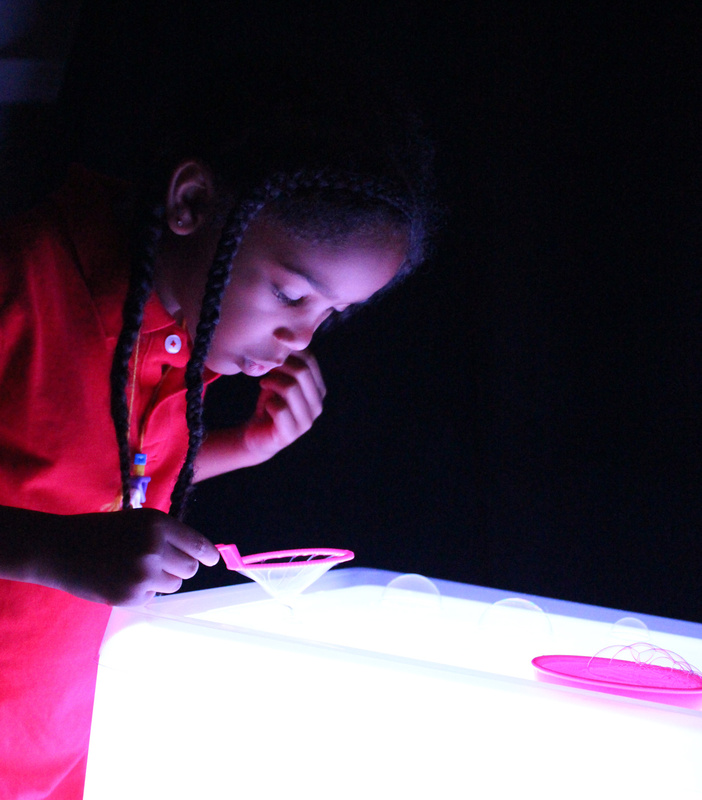 The tray is available in our R59602 Educational Light Cube Accessory Pack. First, place the tray directly onto the top of the Light Cube. 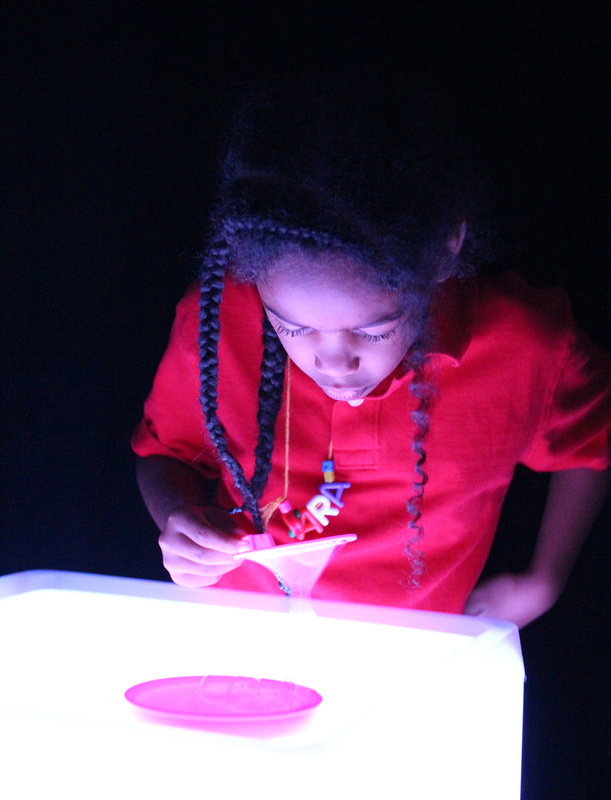 The clear plastic design will allow the light to show through clearly, while making it easy to keep the cube clean! We mixed up a simple bubble solution with 2 parts water to 1 part dish soap. We poured the resulting mixture into a shallow bowl. You can use something similar to the lid of a jar for the shallow bowl. Pick a cool bubble wand that you’d like to use to form your bubbles and dip it evenly into the shallow bowl. Ciara gently blew through the wand to create a mini bubble on the tray. 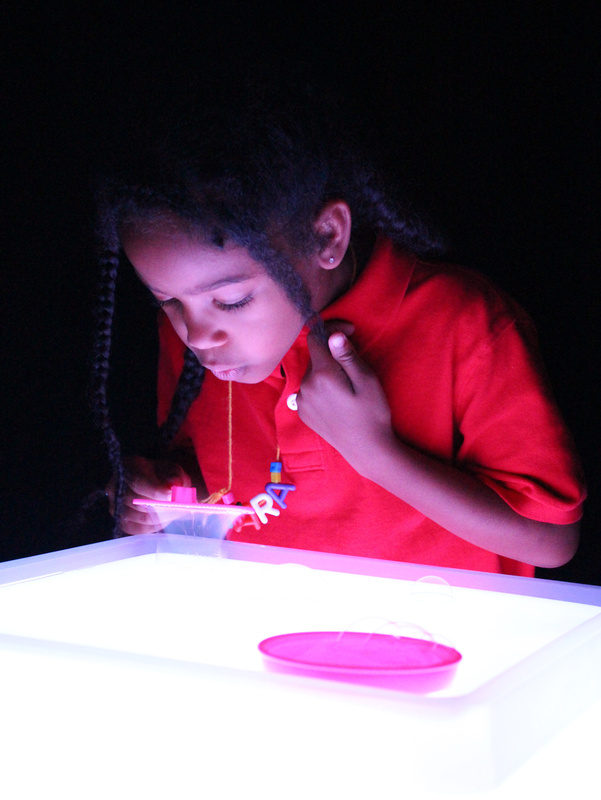 You can compound various bubbles onto the tray and build a mini bubble tower! Ciara continued to build on the tray with little bubble ‘blocks’! This is a great exercise in focused preschool play, as children challenge themselves to blow bigger bubbles or to fill the tray with bubbles. How big can you make the bubbles? As big as you want! 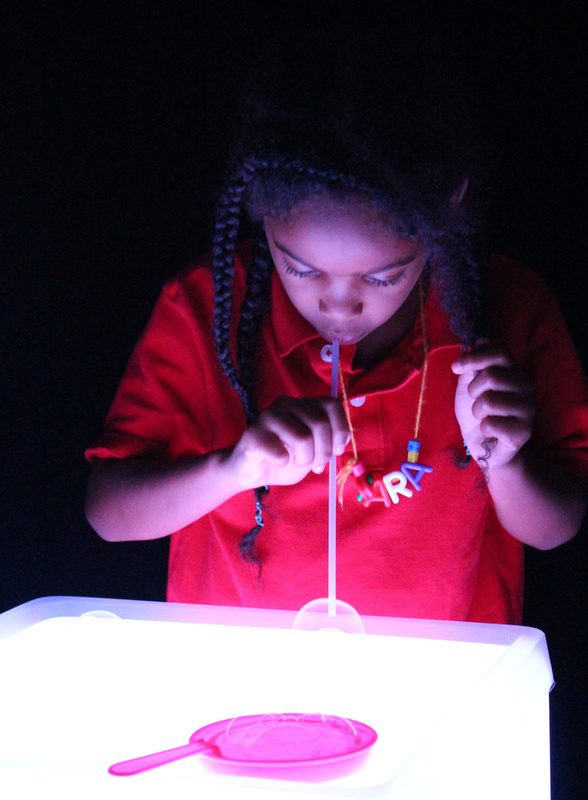 This entry was posted in New, Preschool Play and tagged blowing bubbles, bubble recipe, bubbles, dish soap bubbles, light box, light cube, light cube accessory pack, light cube tray, light play, light table by roylcoblog. Bookmark the permalink. Can I just order the trays without the accessories I already have all those? Hi Beverley, thanks for your message! Unfortunately, we do not as of yet sell the trays separately from the accessories, but you can give us a call on the number from our contact page if you’d like more information! Hi Beverley, please send us an email to info[at-sign]roylco.com and we’ll get it sorted out! Thanks for your comment!